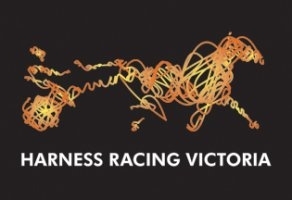 Harness Racing Victoria Chairman of Stewards Neal Conder has expressed his extreme disappointment in how proceedings played out at tonight's Ballarat and District Trotting Club's Pacing Cup meeting. "We were informed by Harness Racing Australia during the week of concerns some UFO sulkies were wider than what is allowed. "I informed our steward who oversees gear that when next at the races he is to measure the sulkies. "He measured them at Thursday's meeting and there was no issue. "He measured them before the first race tonight and found that some weren’t compliant with the HRA specifications. "Trainers were informed they would have to change sulkies as their sulkies were outside of HRA specifications. "Trainers were informed tonight that the sulkies were outside HRA regulations because we did not expect to find any outside of the HRA specifications. "UFO is not a new sulky manufacturer. I’m surprised that an experienced sulky maker would supply sulkies outside of HRA specifications. "I’m very disappointed in how tonight has unfolded. It is obviously extremely disappointing for patrons and punters, trainers, drivers, the club, owners, sponsors and everyone in the industry. "However, we are bound by HRA specifications and it is our job to ensure that our participants adhere to those standards." HRV has tweeted that it will work closely with the Ballarat club to look at how to best compensate patrons who attended tonight’s meeting. It should be noted that tonight’s circumstances were completely outside of the Ballarat and District Trotting Club’s control. Ballarat, the HRV club of the year, is a passionate supporter of harness racing in Victoria and has a stellar reputation for looking after all industry participants. HRV Chairman Ken Latta will ask the racing integrity council to review tonight's events to ensure there is not a repeat of the situation. Mr Latta says HRV stewards report directly to the integrity council and it would be up to the integrity council to advise on ways to improve processes around communication between stewards and participants. Mr Latta says the board and club appreciated that the majority of trainers and drivers supported the Ballarat and District Trotting Club on their biggest night of the year. Bayman, I missed listening to the race, who won and who ran the placings. Sorry for the late reply but thanks for that, I new the race was on but completely forgot to listen.